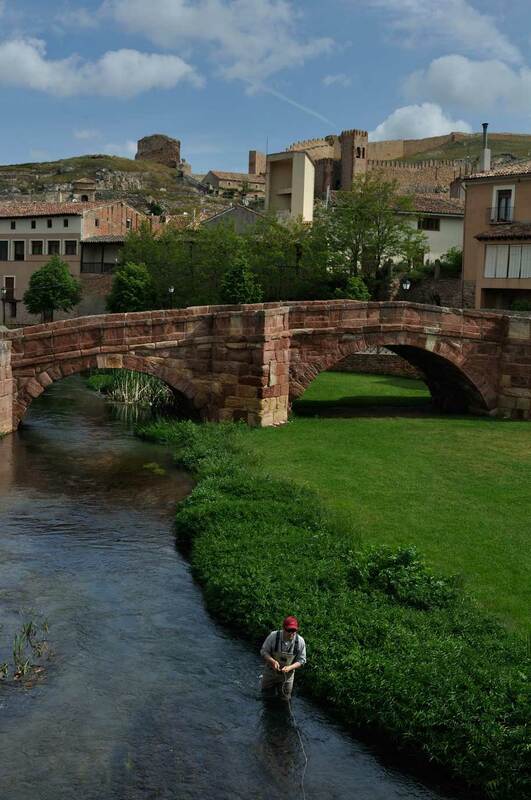 Spain remains one of flyfishing’s best kept secrets. 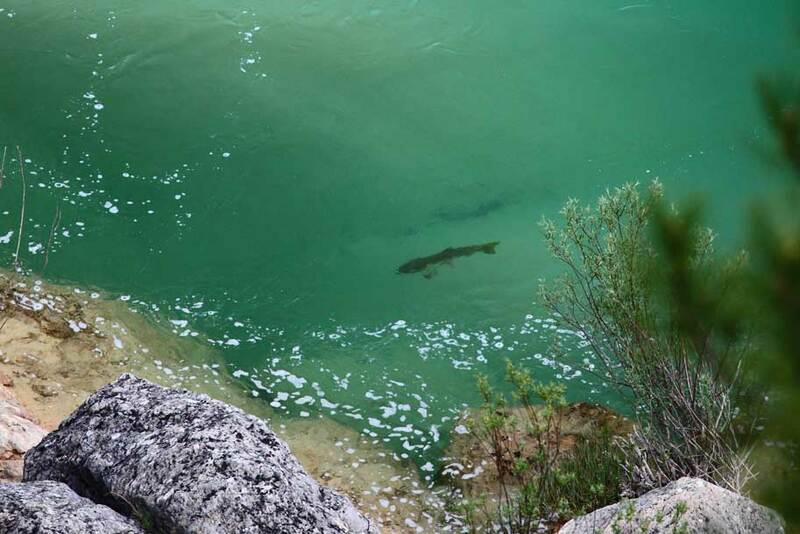 Winding their way through limestone gorges, the rivers of Guadalajara region in Spain offer spectacular backdrops and beautiful, fin-perfect wild brown trout, which when combined with near-bankable Spanish sunshine make for fantastic freestone river trout fishing to rival the Baltics. Water so crystal clear that every pebble on the river bottom is visible, so clear that it takes on aqua-blue hues, is a double- edged blessing. You can choose your target and sight cast to your choice of target…which is equally aware of your presence on the bank or in the river. Despite fishing pressure being light, the visibility makes for easily spooked fish. A stalker’s instinct, a ballerina’s grace and no small measure of fluff-flicking finesse are requisites for success. Guadalajara’s rivers are only a couple of hours northeast of Madrid – an easy two hour budget bounce from most British airports. Accessibility like that makes for all sorts of sporting break possibilities – combine a couple of day’s fishing with a city break in Madrid, or just make a long weekend of it. For less than the cost of a beat on the Test, you can have a day’s guided fishing, accommodation in a rural Spanish guest house, and your fill of local cuisine, and sunshine in which to enjoy it all. There is no specific clothing required but neutral and natural colours are most suited. 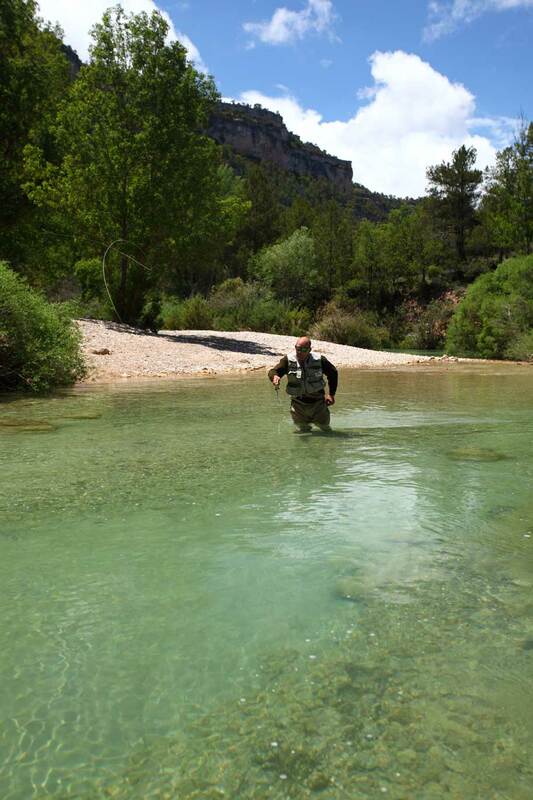 Wading is essential and the water can be too cold to make wet wading comfortable. Please ensure your waders are disinfected before arriving. Polarised sunglasses and a hat will not only provide protection but make spotting of fish easier. All fishing can be accomplished using a floating line. The tippet recommended are in the region of 2lb breaking strain and should be coupled with leaders in excess of 12ft. Most mayfly and sedge patterns will work. Your guide will have a supply of local favourites with him at all times. Travelling to Spain from within the EU needs no visa. Travel from outside the EU may require a visa at the port of entry. Spanish fishing licences will be arranged by Outside Days. It is standard practice to tip the fishing guide at the end of the day/trip.